The Green Tour includes the Selime Monastery, which has Star Wars-like scenery; the Derinkuyu Underground City, a UNESCO site; and the Ihlara Valley Hike, which is claimed to be the second largest canyon in the world after the Grand Canyon. A decent lunch is included as well as transportation and all entrance fees, so at 100 lira it actually works out to be a great value. The only downside to going with the tour with 15 other tourists rather than on your own is not being in charge of your own timeline and having to hurry up when you’d rather linger or wait for slow pokes. That’s always the downside with groups, though. Just in case you forget where you are! 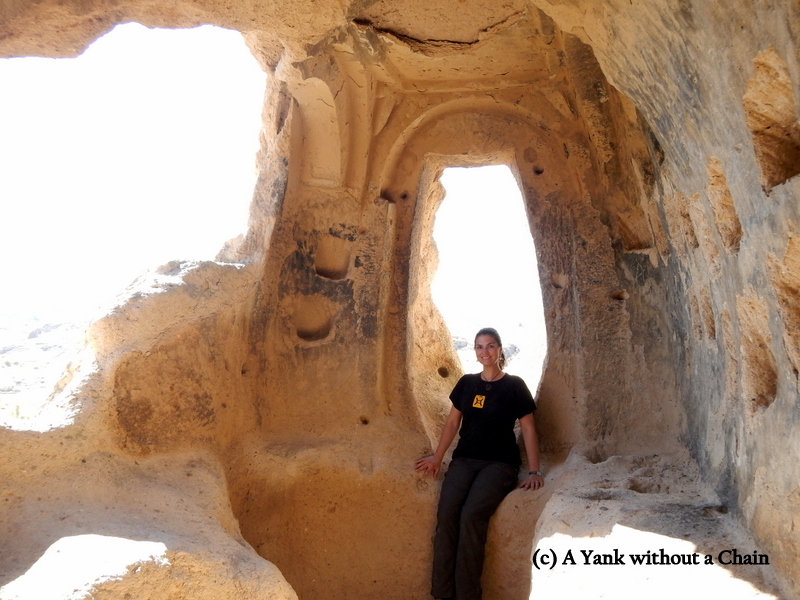 This entry was posted in Turkey and tagged cappadocia, derinkuyu, green tour, hiking, ihlara, rtw, selime, travel, turkey, unesco. Bookmark the permalink.